I am not expert in the arena of wine tasting, etc. However, I know at the end of a long and stressful day, few things feel as good as unwinding with a glass of wine and a good book or a movie/show (I am definitely a re-watcher. If I love a movie enough, I can watch it over and over. I know…odd). Sometimes I’ll just listen to a great album while I have my drink, and just. Not saying I need wine to do that, but it’s definitely a nice touch on some days. These are just a few of the studied benefits so far and they seem to apply more to red wine than white. And most of these are in comparison to drinking other forms of alcohol such as beer and hard liquors. Also, the benefits are only applicable to moderate consumption. This means that after the one to two glasses, we start to enter the zone where the risk outweighs the benefit. The benefits are attributed to Resveratrol, which is has a higher concentration in reds than whites. 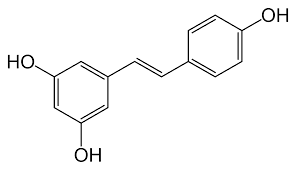 This compound is a stillbenoid or natural phenol that plants make in response to danger like bacteria. Concentrations are high in peanuts, the skin of grapes and berries. It’s thought that these compounds have antioxidant properties which assist in curbing and preventing damage to our cells and thus helping with diseases like cancers and heart disease which start with damage on the cellular level. Enough with the heavy science though. Wine is good if you do it in moderation. Thank goodness, because I love me some wine!